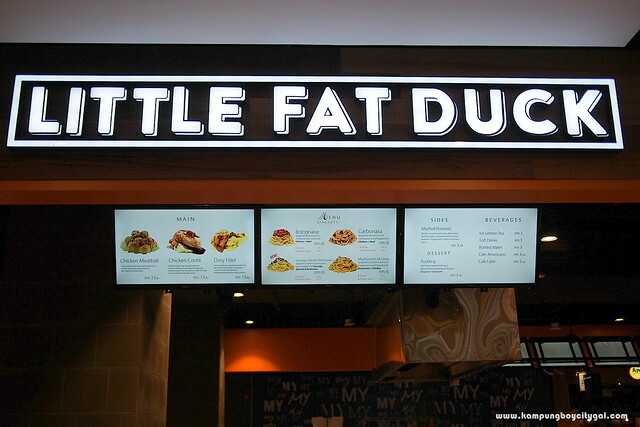 What started as a humble food truck in Subang SS15, Little Fat Duck is now a chain with over seven stores throughout Klang Valley, serving affordable Italian-French cuisine to the locals. 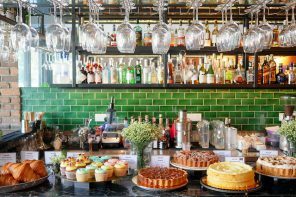 One of the latest development for LFD is that their food is now certified halal, great news to all my Muslim friends who really enjoy having some simple Italian-French fare. 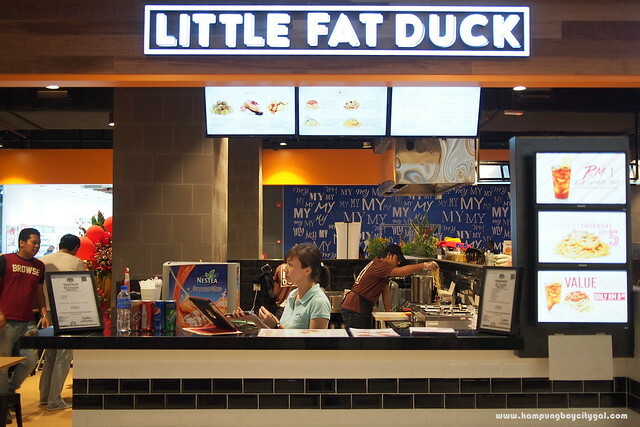 We were at MyTown Shopping Centre, Cheras last week and decided to pop by LFD for dinner. 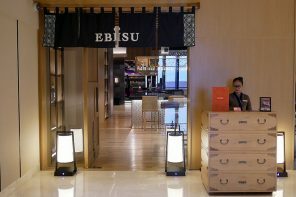 The kiosk is not too difficult to locate as it is at the lower ground floor, where most of the F&B outlets are at. 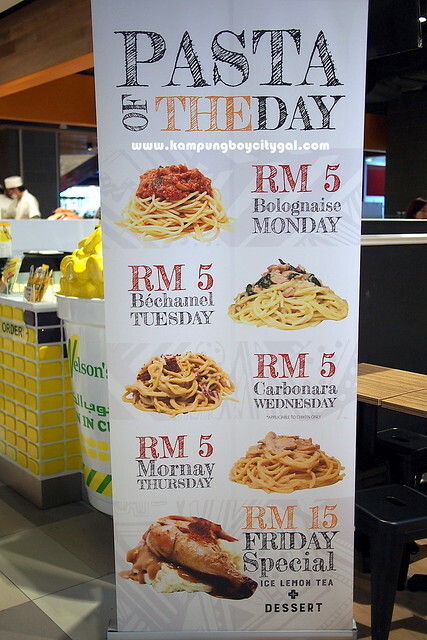 Known for offering wholesome pasta at bargain prices starting from RM5 for pasta of the day, LFD carries on with this affordable pricing practice at all their seven other outlets. 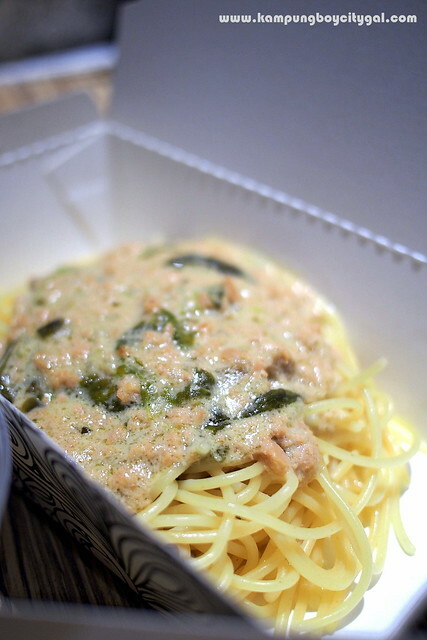 The pasta-heavy menu at LFD also features two other main dishes – chicken confit and dory fillet. 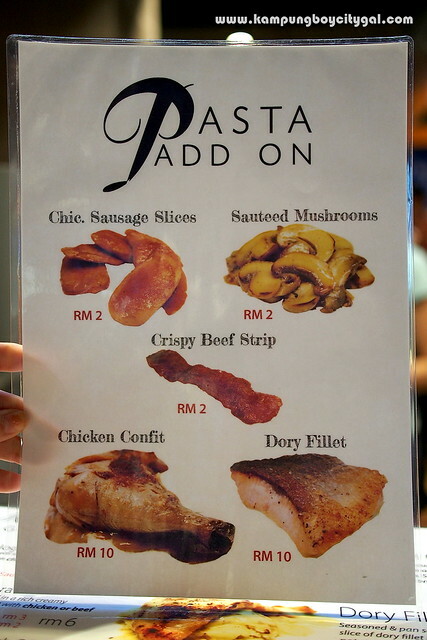 For add-ons; one can opt for sausages, mushrooms, beef strips, chicken confit and dory fillet. Value Meal option is also available for all the pasta dishes. 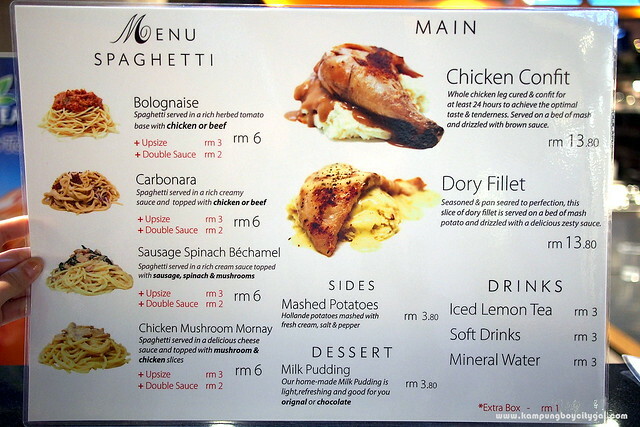 For only RM 9.90, one gets to choose a pasta dish and it will come with a milk pudding and iced lemon tea. 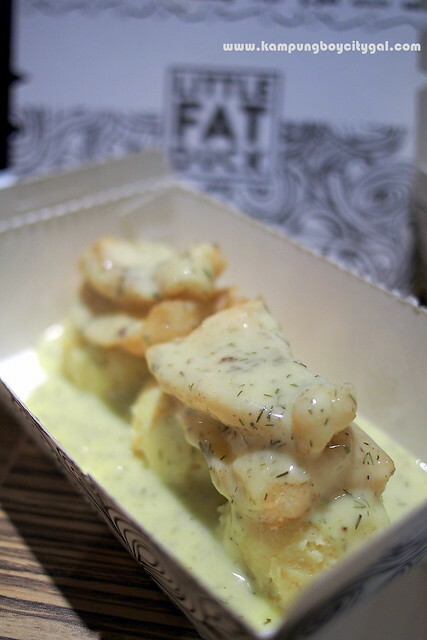 Our food arrived in lunchbox-sized cardboard boxes, which is how they serve at the food truck too. What’s better than tender fillets of dory fish, pan fried to a crisp golden brown and served with creamy mashed potatoes and drizzled with an appetising zesty sauce? It is a complete, wholesome meal on its own. 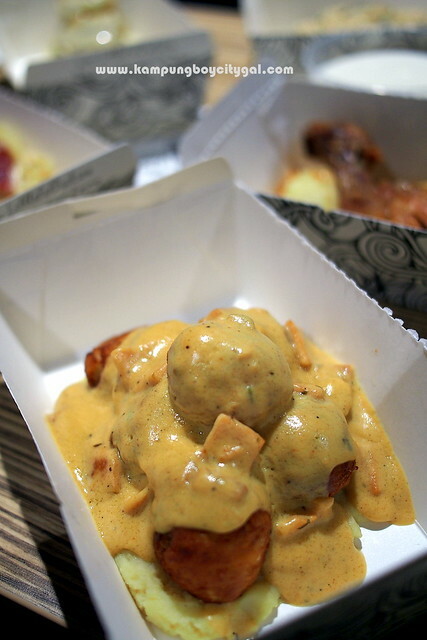 The super moist and flavourful chicken meatballs have a crispy golden crust and tender interior. Love the bits of sweet onions inside too! 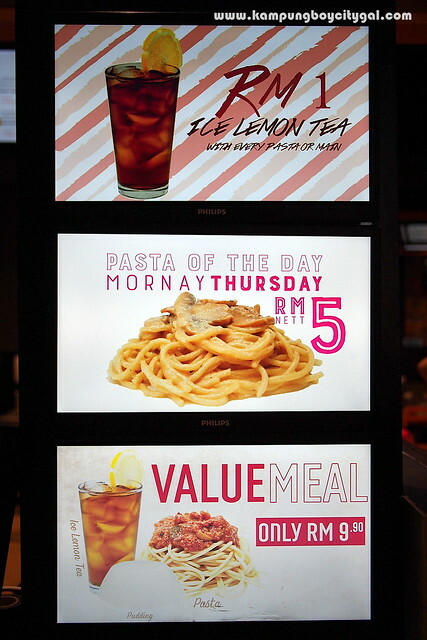 Value Meal option is also available for all the pasta dishes. 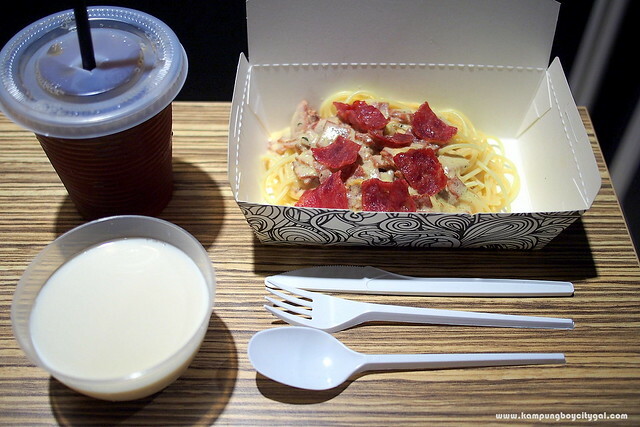 For only RM 9.90, one gets to choose a pasta dish and it will come with a milk pudding and iced lemon tea. 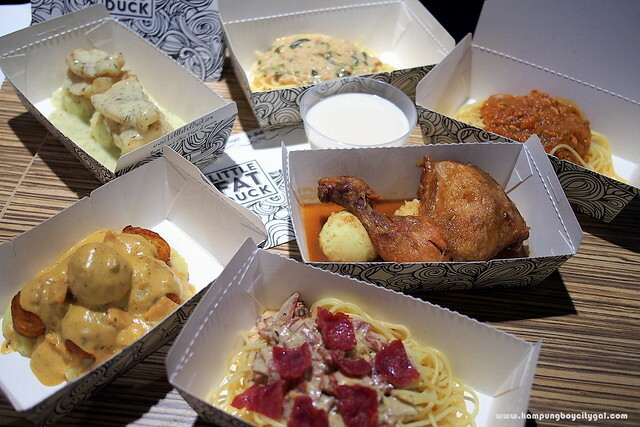 Our food arrived in lunchbox-sized cardboard boxes, which is how they serve at the food truck too. If you’re looking for a rich and satisfying pasta dinner, this carbonara dish enhanced with bits of beef strips (additional RM 2) would be a good choice. 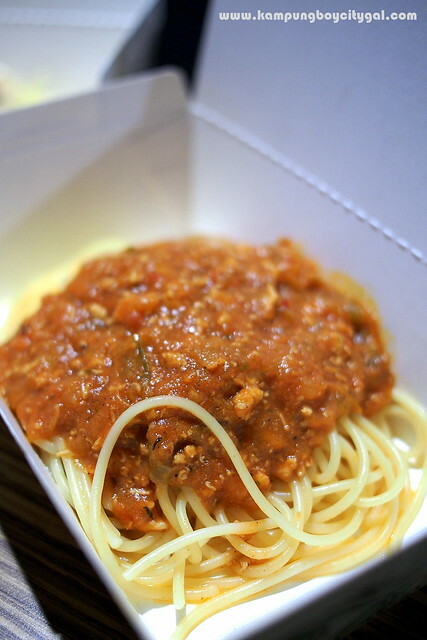 LFD’s famous spaghetti bolognaise is another must try here. Its rich meaty tomato based sauce is made entirely from scratch and seasoned with Italian herbs, lots of juicy tomatoes, fresh veggies and minced meat. I’m no expert on Bolognese sauce but I know a good one when I taste it. It must be rich, meaty and delicious and coat the pasta beautifully. This is the one! I’m not exaggerating, even the diners seated near to us kept exclaiming that this is really good. It is a healthy and yet very creamy pasta dish. 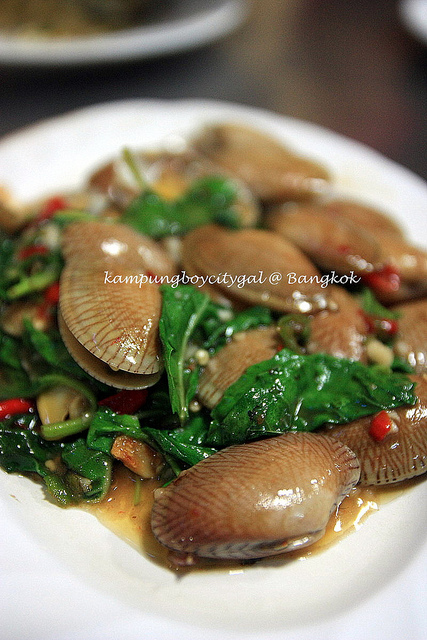 I enjoyed the delightful taste of spinach and meaty sausages so much! For only RM 5-6, one would expect the food portion to be modest but it is more than enough for me. 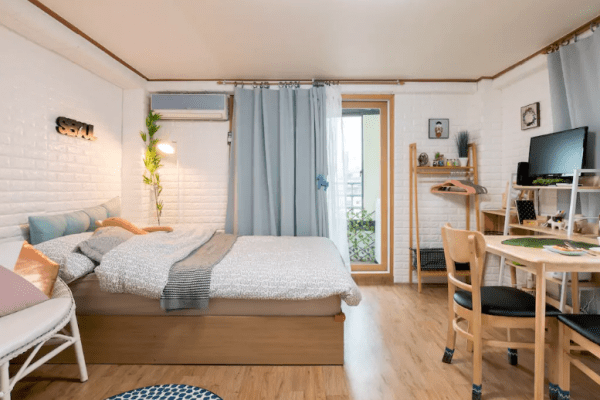 Whereas for KampungBoy, going up-size is definitely a good option! 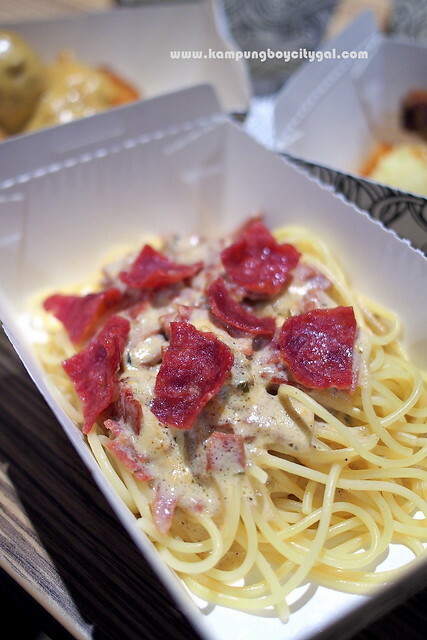 Or you can be smart like us, sharing 3 varieties of pasta between the two of us! 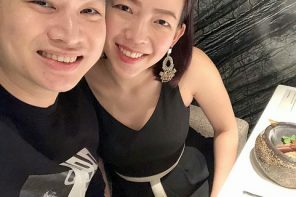 LFD is a great option for an inexpensive, wholesome and satisfying meal, especially in a air-conditioned shopping mall setting.